This charming geometric design features a mixture of modern typography and a pattern of chic triangles in a variety of colors. Available in a contemporary color palette, this design stands out from the crowd. With its modern bunting banner pattern, this style is ideal for your next event or occasion. 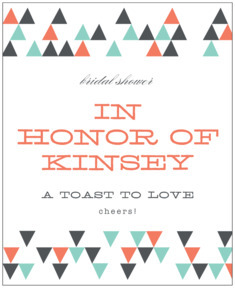 Customize your Modern Geometric bridal shower labels today to add a special touch to your bridal shower! 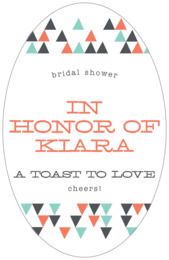 Modern Geometric bridal shower labels are printed on your choice of coated paper or waterproof vinyl label stock. 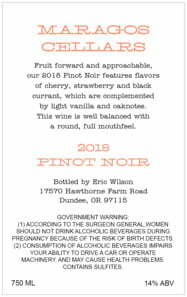 Both are easy to apply and both print with fine detail and rich color; the colors are lusciously rich and images are sharp. In the case of the vinyl option, the labels are also very easy to remove, and the square vinyl shapes are even re-usable when on a smooth surface like glass or plastic: peel them off starting at a corner and pull slowly; save them for another time by putting them back on their carrier sheet. 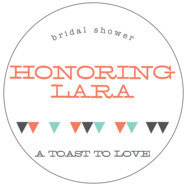 Evermine labels add an extra sparkle to all your bridal shower favors—put them on bags, favor boxes, jars, envelopes, or directly on the favor itself. 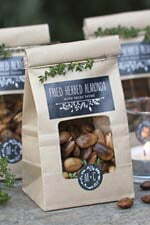 Use them for the homemade goodies you made just for the party, or add to a beautifully packaged item to make it personal. Use your words on styles and colors that fit perfectly for your shower.